In a rather embarrassing blunder, Motorola has admitted to selling refurbished Xooms to new owners without wiping the data off of them, left there by their previous owners. The ‘affected’ devices include those that were resold through Woot.com between October and December 2011. This includes about a 100 devices out of the total 6200 devices resold by Motorola so far. 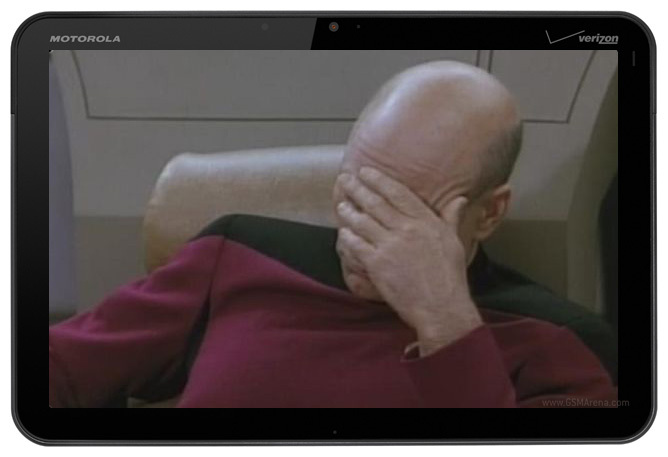 To make up for this gaffe, Motorola will give previous owners of the affected tablets a complimentary two-year membership of Experian’s ProtectMyID Alert to mitigate any risks. This applies to those who returned their Xooms between March and October 2011. Those who bought these refurbished devices will be getting a $100 American Express gift card. All you have to do is ship the device back to Motorola (they’ll pay for it) and then they will wipe it clean for you and send it back. Now usually it is expected of the owner to wipe the device clean before returning it but a lot of people don’t. It is also expected of a company to ensure that a refurbished device is in factory condition before they start selling it again, which is what Motorola failed to do. At least they admitted their mistake and are making up for it. You can avail of the freebies if you fall in either of the categories. If you were the original owner, pray that nothing confidential was on your Xoom when you sold it and next time, don’t forget to wipe your device clean, on the outside and especially the inside, before returning it.